Bhubaneswar: Rain and thundershower coupled with gusty wind are likely to hit several parts of Odisha in next 24 hours under the impact of very severe cyclonic storm Vardah formed over the Bay of Bengal. ‘Rain or thundershower is likely to occur at a few places over South Odisha and at one or two places over North Odisha during next 24 hours,” said a bulletin of Indian Meteorological Department (IMD). IMD has asked the fishermen not to venture into the sea as the condition of sea would be rough. 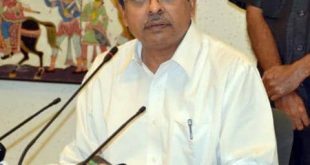 It said the sea condition would be rough to very rough along and off south Odisha coast and moderate to rough along and off north Odisha coast. The met department has hoisted Distant Warning Signal Number Two (DW-II) at Paradeep and Gopalpur ports. The very severe cyclonic storm is centered over west central and adjoining southwest Bay of Bengal, about 685 km South of Gopalpur, said a bulletin. 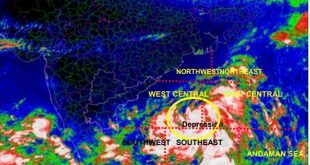 “The system is very likely to move nearly west-southwestwards and weaken gradually from today evening onwards while moving towards north Tamil Nadu and adjoining south Andhra Pradesh coast,” it said. It is very likely to cross north Tamil Nadu and south Andhra Pradesh coast, close to Chennai as a cyclonic storm by December 12 afternoon, it added. 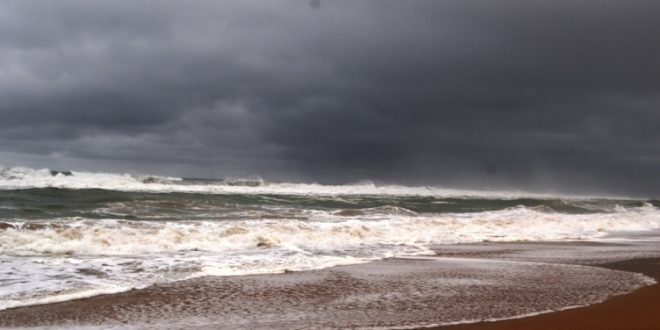 “Strong and gusty surface wind from NorthEasterly direction with speed reaching 45 to 55 kmph and gusting to 65 kmph would prevail along and off South Odisha Coast and from Northeasterly direction with speed reaching 30 to 35 kmph gusting to 45 kmph along and off North Odisha coast in next 48 hours,” said the bulletin.